Want to drive sales for your business? 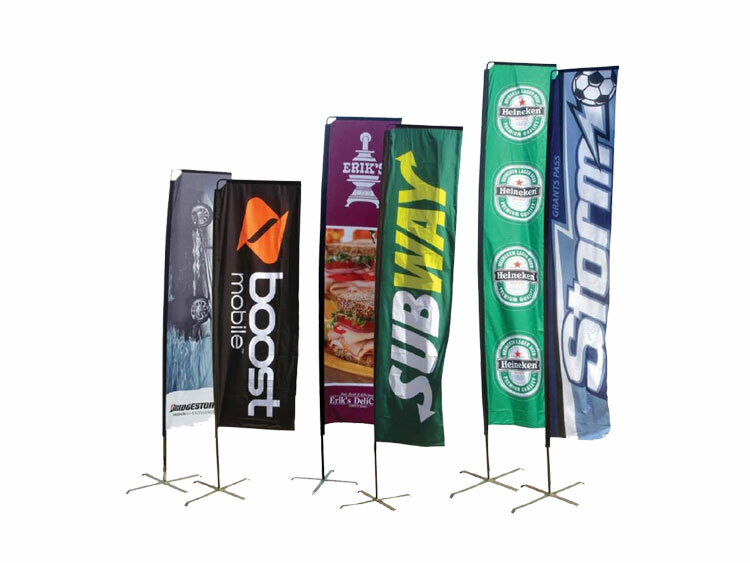 We provide a variety of different point of purchase signage options: pull up banner stands, sandwich boards, flags illuminated snap frames and portable trade show displays will put your message right in front of your customer. > Browse our Catalogue. 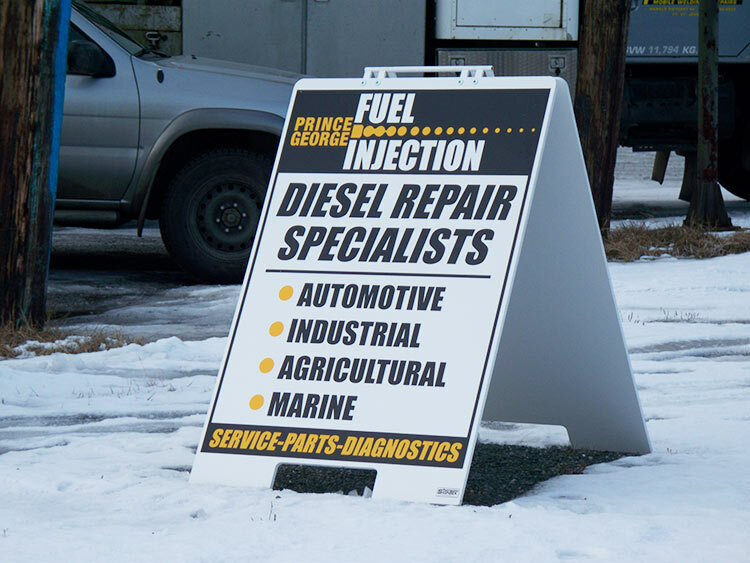 Sandwich Boards – Promote your daily specials, hours of operation or your products and services to foot and vehicle traffic that pass your storefront. We have a number of different sandwich board frame options to suit your needs. Snapframe Lightboxes – Wall mounted or freestanding floor lightboxes with snapframe edges allow for quick changing of backlit graphics that will grab the attention of your customers. Tradeshow Displays – These collapsible tradeshow displays are an efficient way to set up and tear down a professional looking booth in just minutes. Everything is easily packed way in the included storage and transportation case with built in wheels to make your trip from the arena floor to your vehicle as easy as possible. Pole Flags – On the side of the road or at a public event pole flags are a great way to tell people "Hey, something is going on over here. 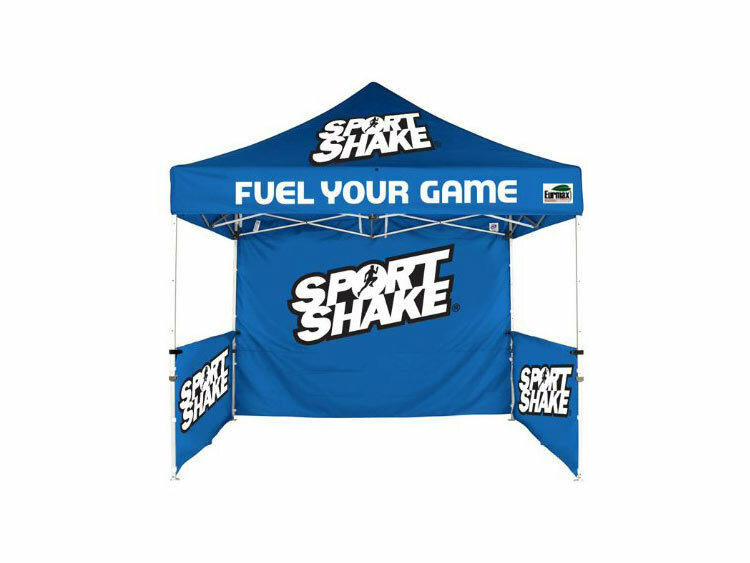 Come check it out"
Pop Up Tents – Draw the attention of the crowd and be found easily with branding placed prominently above the sea of heads often found at public events. We're able to provide tents with just printed roofs or get maximum impact by getting back and sidewalls to match.